Agroecology is our best hope for sustainable development – Cultivate! The Sustainable Development Goals present an impressive commitment to eradicating poverty, ending hunger, achieving food security, promoting nutrition and sustainable agriculture and ensuring that no one is left behind. Agroecology is based on traditional and indigenous farming knowledge, and when carried out by peasants has shown to be much more productive per hectare than industrial, agribusiness monoculture. It therefore has great potential for contributing to the SDGs. But agroecology cannot expand as long as land continues to be concentrated in the hands of a few wealthy and foreign investors. Urgent and deep structural transformations are needed, including true agrarian reform, and defending, protecting and keeping territories under the control of small scale and peasant farmers, pastoralists, indigenous women, mountaineers and fisherfolk. Agroecology cannot expand as long as land continues to be concentrated in the hands of a few wealthy and foreign investors. A different kind of society based on democratic ownership of resources and on full participation in economic activities is imperative. I have experienced such a process in Zimbabwe where land reform made the land more productive and sustainable, boosted food production for the local and national economy, and offered a life of dignity for the rural poor. Most African governments’ policies are biased towards promoting prescriptive, unidirectional top-down industrial agriculture. The consequences have been dismal. What is needed is building resilience based on diversity. Food diversity based on crop diversity, grown by the small scale farmer (the first consumer) is an effective way to fight malnutrition. This is found in agroecology, because peasants work with biodiversity to experiment and exchange knowledge. Shashe Agroecology School run by the Zimbabwe Smallholder Organic Farmers’ Forum is one example where farmers learn from peer farmers. This methodology is effective, as we know farmers tend to trust the things they learn from other farmers. As part of its process to support agroecology, the FAO should leverage its institutional muscle to influence national policies to support such spaces for learning. This must be supported by an institutional and policy framework which provides the building blocks for agroecology: access to land, water, credit and critical functional biodiversity, underpinned by a vibrant peasant seed saving systems to provide adequate and appropriate nutrition in the face of a changing climate. Agricultural finance should support peasants, especially women, and family farmers, instead of being biased toward agribusiness, and burdening peasants and their families with unpayable debts. As part of its process to support agroecology, the FAO should leverage its institutional muscle to influence national policies to support spaces for farmer-to-farmer learning. Let it be clear that Green Revolution and conventional agriculture have not been sustainable, and only served to increase inequality. Agroecology offers our best hope of truly reaching the SDGs, particularly addressing hunger and poverty. It provides a different model of agriculture that ensures just economic wellbeing for small scale farmers and their communities while producing enough healthy food that is accessible to everyone. My own experience in Zimbabwe is testament to the fact that agroecology underpinned by agrarian reform can be a fundamental pillar of sustainable development. 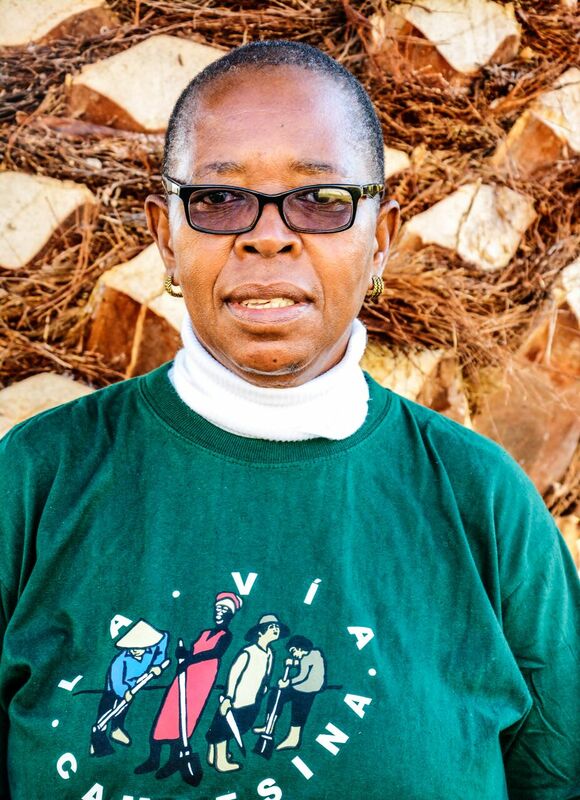 Elizabeth Mpofu (eliz.mpofu@gmail.com) is the General Coordinator of La Vía Campesina, the world’s largest peasant network. This opinion column was published in Farming Matters on the occasion of FAO’s II International Symposium on Agroecology in April 2018.